(Photo Courtesy/Michigan State Police) Police arrested Sidney Hausding on January 18th for drunk driving and driving with a suspended/revoked licenses. 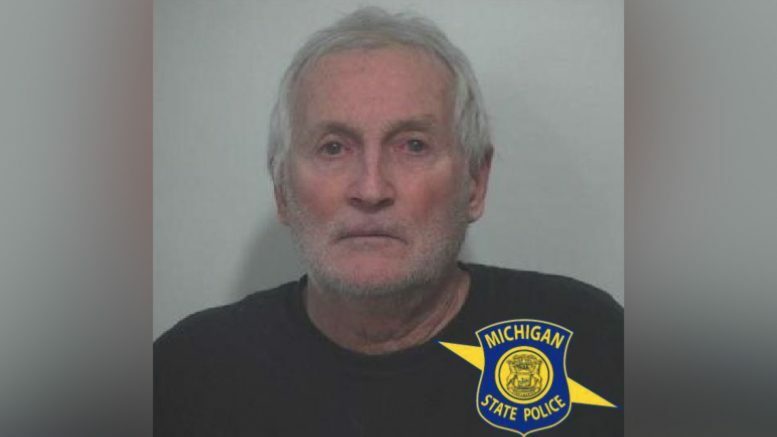 Alpena, Mich. — a 72–year–old Alpena man was arrested and charged with his eighth OWI offense. Troopers pulled over Sidney Hausding last month for several lane violations and traveling well below the speed limit. Hausding was pulled over on Oliver St. in Alpena around 7:00 p.m. on January 18. After a roadside investigation, it was discovered that the 72–year–old had been drinking and was driving with a revoked license. Additional evidence of intoxication was discovered according to MSP. Records showed that Hausding already had seven OWI offenses. Hausding was charged with a felony OWI and driving with a suspended or revoked license. He waived his arraignment this week.